More and more people suffer from varicose and spider veins. That is why there are multiple products on the market which are able to help. If you are suffering from varicose veins you need to get all the support you need. If you don’t start treatment as soon as possible because otherwise this can lead to more serious health problems. 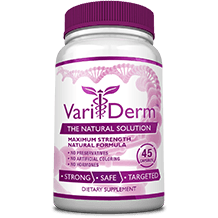 If you are searching for the right product that can help you get rid of varicose veins you have to pay attention and find out everything about a great treatment called DHerbs Veins Formula. It seems that this product is used by many people all over the world. Users say that DHerbs Veins Formula is very effective in treating varicose and spider veins. As you probably noticed, this product only contains natural ingredients which are able to help you deal with varicose veins and all the side effects they bring. If you want to see positive results you have to respect a recommended dosage. You should take three capsules per day and children should only take 1 capsule. There is no specific information about this product’s side effects but as many other similar medications it may cause some. That is why, before starting treatment with DHerbs Veins Formula you should consult your doctor. 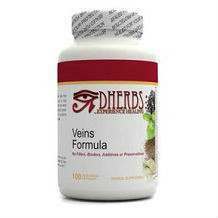 DHerbs Veins Formula is sold in bottles with 100 capsules. If you take three capsules per day, a bottle should be enough for about 33 days. The price is not high at all and we are sure that you can afford to buy this product. It costs $19.95. We checked the manufacturer’s website and we found out that this product comes with a money back guarantee. The thing is that you have to return only unopened bottles in no more than 15 days. This might be a down side of the product and customers may start to doubt about buying it. Users stated that DHerbs Veins Formula actually works. You can trust that this product will help you get rid of the pain and the discomfort caused by varicose and spider veins. You will start to feel better very fast and your legs will look better. However this is a non FDA inspected product with a guarantee that is not reasonable.